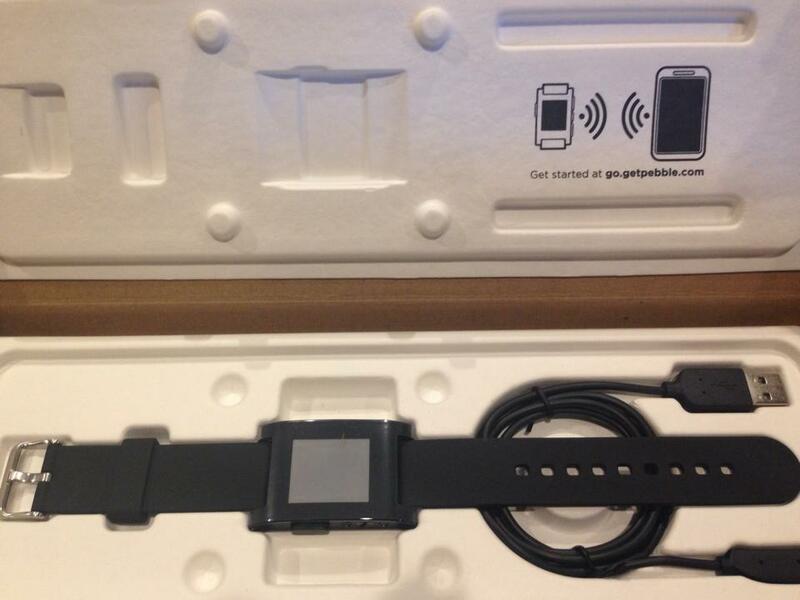 I was lucky enough to get a Pebble Smart Watch from Santa for Christmas. This is a very cool device for many reasons. Firstly it was funded via KickStarter.com, secondly it is programmable and finally it is actually useful! Pebble has enormous potential and while it might not be 100% yet, development of Pebble OS and third-party App support is improving rapidly. Control music on your iPhone e.g. skip tracks, pause, play etc. One of the coolest things about Pebble is how it came about and how its development was funded via Kick Starter. The Pebble team needed $100,000 to fund initial manufacturing, more than 68,000 people liked they idea and they raised a staggering $10,000,000 and as they say, the rest is history. Pebble is a smart watch that works with your iOS or Android device via Bluetooth 4. That means it will work with iPhone 4S or later or some of the latest higher end Android devices. 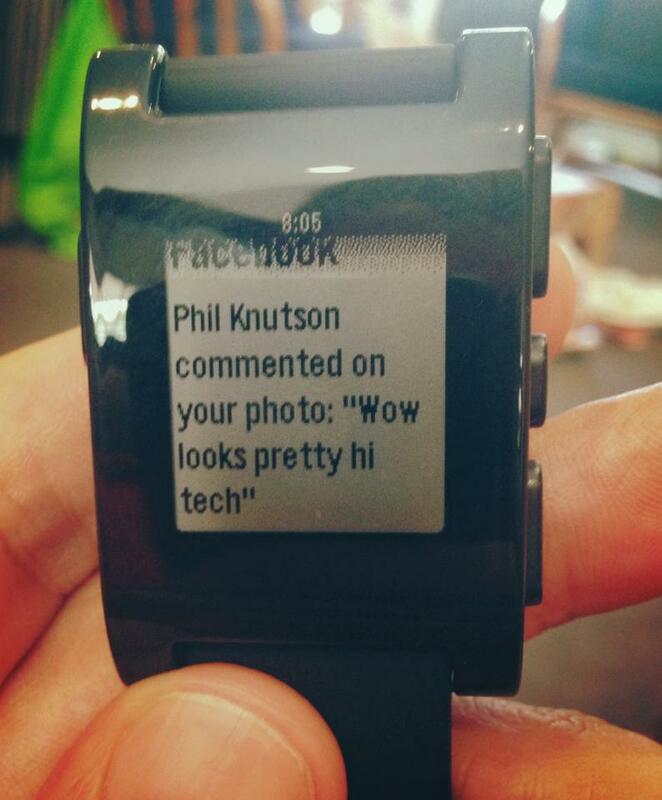 Pebble can display notifications from apps like Twitter, FaceBook, Caller ID, iMessage and SMS (TXT) messages. Pebble has an API allowing third-parties to build Pebble support into their iOS or Android Apps. The number of apps supporting Pebble is very limited currently. The best is RunKeeper (see below), while others like WakeSpeed definitely need some work. 2014 will see a lot of new Apps appearing for Pebble including sport scores, Yelp and many others. Just think of the possibilities. Pebble is a great addition for anyone using RunKeeper. It displays Average Pace, Time and Distance on the Pebble and allows you to pause and un-pause RunKeeper using the Pebbles buttons (with your phone safely stored in your back pack or pocket). This is a very simple but extremely useful feature, especially if you are waiting for traffic lights and don’t want to have the delay affect your pace stats. Pebble is a great device, well built and has lots of potential. The number of Apps for Pebble will grow rapidly in 2014, so expect it to get better with time. In the meantime, it has enough to be useful and makes you feel like you’re at the edge of something new.